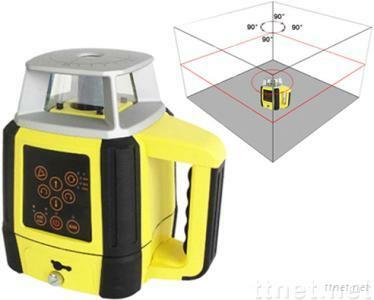 Product Description: ●Electronic Sensor Fast Leveling,High Precision and Stability. ●Horizontal and Vertical auto-Leveling. ●Plumb Beam for 90° Layout Work. ●Plumb-Down Feature for Setup Over a Point. ●With Scanning Function. ●With Clockwise and Counterclockwise Rotating Function. ●Manual With Dual Axis Slope Adjustment. ●Housing Made With Rubber and High-Impact Plastic. ●Full Function IR Remote Control. ●H.I. (Elevation) Alert With Separate Switch. Tools, Measurement & Analysis Instruments, Electronic Measuring & Testing Instruments, Electronic Measuring & Testing Instruments/n.e.s.